We have another exclusive interview at The Korean Car Blog, in this opportunity we have the current World Pirelli Challenge winner in TC-A class driving the new Kia Forte Koup T-GDi. This is his first year driving a Kia and also the Koup, also first year with the Kinetic Motorsports but he has a long racing career. Without any further a due, let’s meet Jason Wolfe! 1. Tell us your name, age and where you from? My name is Jason Wolfe, I am 19 years old and from a small town in Ohio called Mount Vernon. 2. 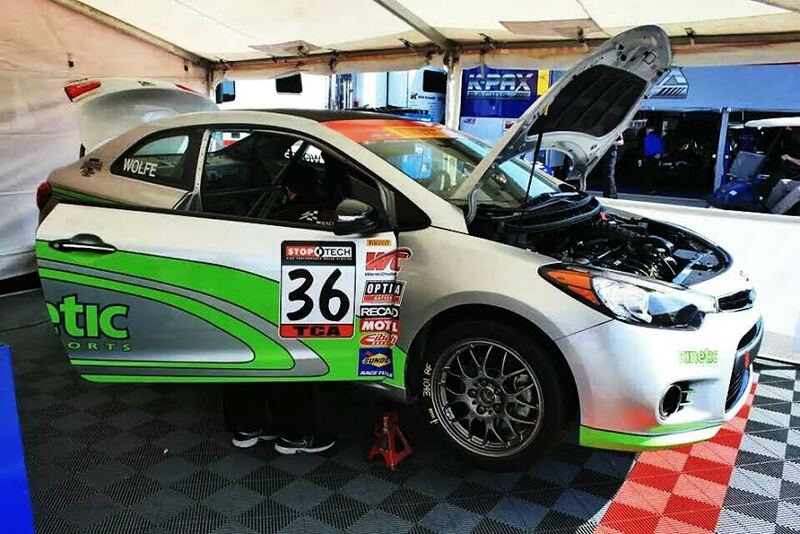 What do you do when you aren’t racing the Kia Koup? When I am not racing the Kia Koup I am working on starting up my real estate career. But for fun I spend a lot of time on the lake or riding quads and dirt bikes. 3. How did you start your racing career? I started my racing career from watching the movie Catch That Kid. Its about 3 kids who rob a bank using go karts as the get away vehicle, and the ones dad ones a kart track. So me and my dad went down to a local track and talked to some people and ended up buying a kart and everything just fell into place from that day on. 4. Tell us the competitions you participated so far and which has been the most competitive one and the most successful one? 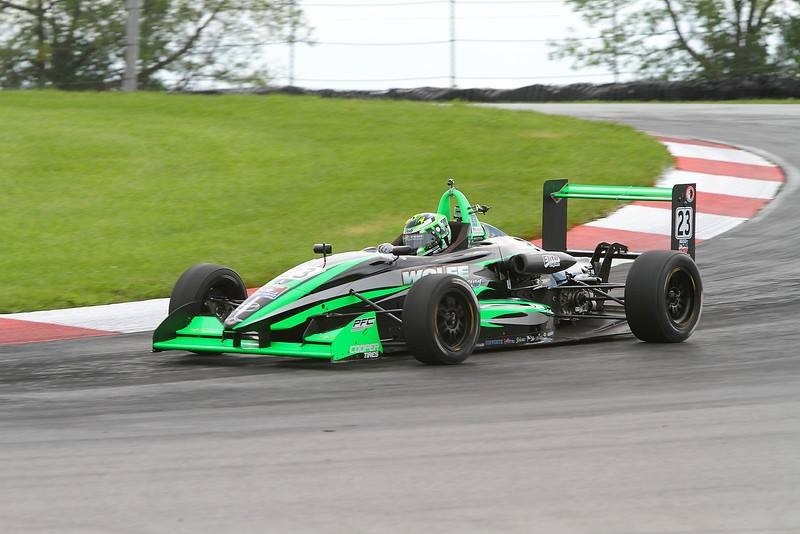 Out of the races this year at Barber, Canadian Tire Motorsports Park, and New Jersey, I would say the races at Canadian Tire Motorsports Park have been the most successful leaving with two wins and one second place finish. 5. Tell us how you decided to choose a Kia and team up with Kinetic Motorsports? My driver coach introduced the idea of teaming up with the guys and kinetic and driving the kia and after we visited the shop the decision was easy. They are a very professional and fun team to be around with a lot of knowledge based around the Kia manufactured cars. After driving the Kia for the first time I was blown away with the handling, braking and torque of the relatively stock car. 6. What were your thoughts and expectations about the Koup before driving it for the first time? I expected an exceptionally built car from the guys at Kinetic, but like most people I didn’t look at kia as a “performance car”. That quickly changed as I took the first few laps in the little monster. The car is amazing. 7. Tell us your experience in rounds 2, 3 and 4 at the Canadian Tire Motorsports? 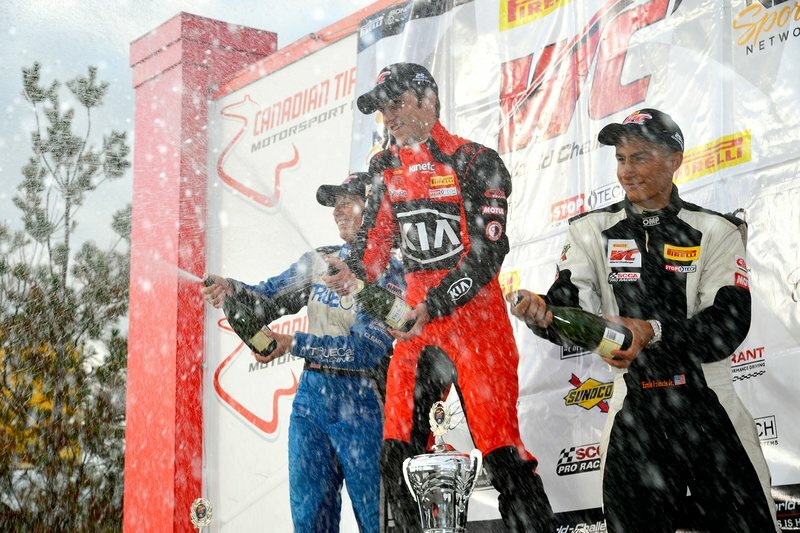 What a weekend, round 2,3 and 4 at the Canadian Tire Motorsports Park were second to none so far. Leading off the weeked with a pole position in qualifying gave everyone on the team that confidence to win and that’s what we did taking rounds 2 and 3. Round 4 started off great we led almost the entire race but a mistake set us back to second and that’s where we finished. All in all I couldn’t be happier with the performance of everyone involved and the reliability of the Kia Forte Koup. 8. How do you feel been on first place at the TC-A class and position Kia on first at car manufacture? I could not be happier! Going into a season with a brand new car everyone has to be a little skeptical on how we will do the first couple races, but the partnership between Kia and Kinetic has been able to put us firmly onto of both the drivers championship and also the manufactures championship. 9. What is your favorite Kia’s concept car and why? My favorite Kia concept car has to be the GT4 Stinger. It has amazing lines and looks to be a very fun and well performing car. 10. What are your thoughts about AR7 Genesis Coupe made by Ark Performance competing at the Formula Drift? I think it is great! I think the more series Kia/Hyundai can get into the better for marketing and also using some racing technology to help in the development of new cars. 11. Name one of your favorite race driver of all time and one current race driver(if the driver is current, then you can just say one name) and tell us if he made any changes in your career. My favorite driver of all time is Tommy Byrne, my driver coach and manager. He made it to formula one on pure talent and the ability to get people to like him and help him pursue his racing career. Coming from the farm fields in Ireland to formula one has to be one of the biggest feats anyone could conquer. 12. We say a word and you will response the first word that comes on your mind. 13. We are dedicating this space for you. I would like to thank My family for all of the support, my driver coach Tommy Byrne, Dynamic Performance fitness and of course the family ive developed at Kinetic that built and maintain a top notch car and work hard day in and day out to keep us on the podium. And Kia for giving the team an amazing platform to work from and the continued support in racing from everyone involved. 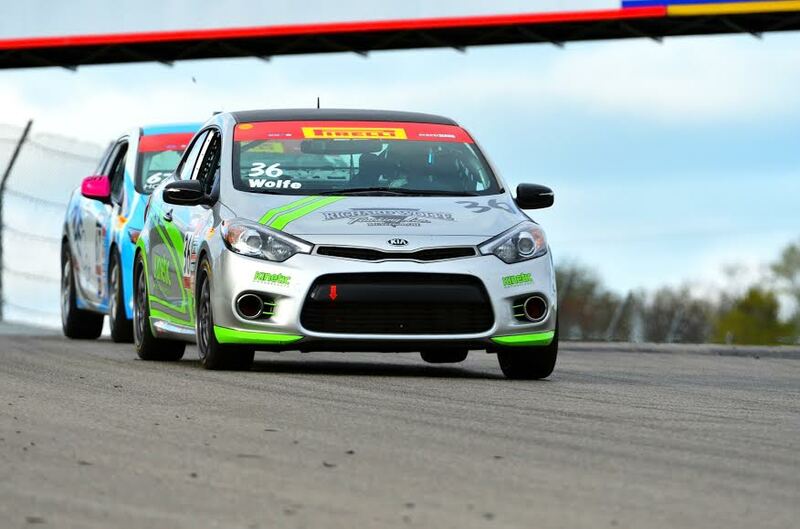 Thank you Jason Wolfe for this interview, I’m sure a lot of our followers as well as Kia Racing fans wanted to know more about the driver who is holding the first place in his class and keeping Kia in the top. I’ll see you in Mid-Ohio track! Stay tuned for our next interview!! Next we have Global Rallycross driver Rhys Millen at the XGames in Austin, TX.